The Toymato Healthy Food Curriculum lets students explore where their food comes from, along with the basic elements of a healthy garden. Students will learn about seasonality and healthy eating by tasting and making observations about seasonal produce. This K-4 multi-disciplinary teaching tool was created with you - the educator - in mind. The Toymato Healthy Food Curriculum is a highly adaptable program. It can be used to support an existing curriculum, or serve as a solid introduction or extension to any environmental, garden, or nutrition education. The program can be used in any size classroom and with students learning at varying levels. Few external resources are required. 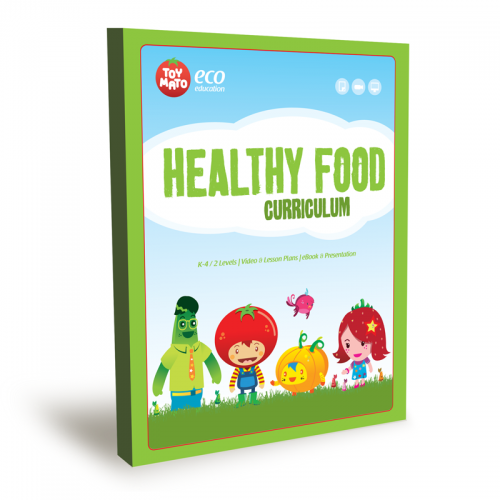 The Toymato Healthy Food Curriculum can be easily combined with the other two units of the Green Living Curriculum. 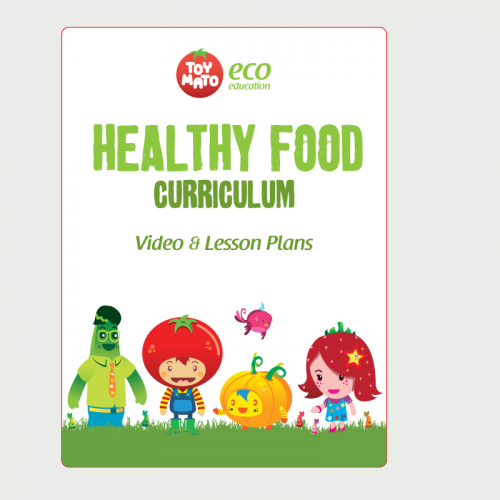 Our unique approach, in which animated films support activities related to the environment, nutrition, and gardening, will give your students the opportunity to learn the basics about how to make sustainable choices—while having fun! The Toymato Green Living Curriculum adheres to the education material guidelines of the North American Association for Environmental Education (NAAEE) and the American Association for the Advancement of Science (AAAS). The program addresses state content standards in all states including California, Florida, and Iowa. After purchasing this product please log into your account and click on “Downloads”, then download the PDF document with instructions on how to use and download the curriculum.